These volumes present a selection of the papers presented at the “Global Antisemitism: A Crisis of Modernity” conference organized by YIISA/ISGAP at Yale University in August 2010. Volume I includes papers that approach antisemitism from a wide range of conceptual perspectives and scholarly disciplines. 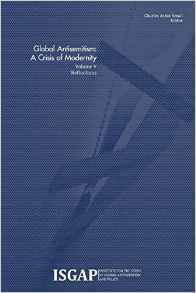 Volume II deals with matters of antisemitism and the intellectual environment. The papers in this volume focus on the treatment of Israel in the media and the study of antisemitism in the academy. Volume III examines the manifestations and impacts of antisemitism in various regional contexts. Some of the papers focus on historical cases, while others focus on recent or contemporary matters. Volume IV on Islamism and the Arab world examines a form of antisemitism that has become especially virulent in recent times. It is also a form of antisemitism whose origins and manifestations are perhaps less well-known to academics and policy-makers due to the supposedly controversial nature of this topic. This volume includes papers from some of the leading experts in this area. Volume V, finally, comprises various “reflections” that were presented at the conference by a number of well-respected observers, academics, and practitioners. They provide insightful observations and important analysis but are not presented in the form of classic academic papers. Between 2006 and 2011, the Institute for the Study of Global Antisemitism and Policy (ISGAP) established and sponsored the Yale Initiative for the Interdisciplinary Study of Antisemitism (YIISA), the first academic research center dedicated to the study of antisemitism based at a North American university. During its mandate, YIISA hosted a successful graduate and post-graduate fellowship program, research projects, and a high-level interdisciplinary seminar series at Yale University. 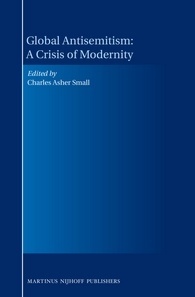 The present volume – The Yale Papers: Antisemitism in Comparative Perspective – includes a selection of the papers presented in the framework of this seminar series, as well as several other working papers, conference papers, and lectures commissioned by or submitted to YIISA by eminent scholars and researchers from around the world. 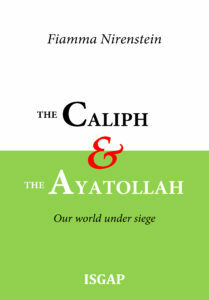 In addition to providing a fascinating overview and scholarly analysis of some of the many facets of historical and contemporary antisemitism around the globe, this volume stands as a solid and incontrovertible testament to the abundant – and, above all, productive – academic activity that characterized YIISA’s truncated tenure at Yale University. 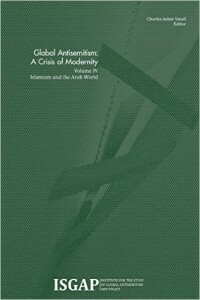 At a time when there is an evident socio-economic, political and cultural structural shift in the processes and practices associated with contemporary manifestations of antisemitism globally, it is important to explore its origins and examine whether the circumstances of its genesis can shed light on its longevity and adaptability. Few scholars are more qualified to undertake such a task than the authors of this volume, who have done so much to develop and advance the discipline of generative anthropology. In this study their groundbreaking hypothesis on the singular event that gave rise to human language and by extension human culture finds a fascinating parallel in the Jewish people’s discovery/invention of monotheism, giving rise to historical resentments and hostility. The volume will be of interest to scholars working in the field of anti-discrimination and antisemitism, as well as human rights scholars and cultural historians in general. The “Antisemitism in Comparative Perspective” seminar series of the Institute for the Study of Global Antisemitism and Policy (ISGAP) continues to generate a steady flow of high-quality presentations and papers on a wide range of topics relating to antisemitism. Between 2012 and 2014, ISGAP hosted seminars at Harvard University, McGill University, Columbia University Law School, Fordham University’s Lincoln Center Campus in New York, the Hoover Institution at Stanford University, the University of Miami, Sapienza University (Rome), and other academic institutions. The present volume―a worthy follow-up to The Yale Papers: Antisemitism in Comparative Perspective (2015)―contains a selection of papers presented during this period. Like the seminars on which they are based, these papers cover topics that have profound implications for our understanding of contemporary antisemitism, its impact on Jews and non-Jews, and our efforts to combat this irrational yet enduring prejudice. The Industry of Lies is one of the greatest frauds of recent decades – a fraud of historic, even epic, proportions. When almost half of all Europeans believe that Israel treats the Palestinians just like the Nazis treated the Jews, when leading politicians assert that the Arab-Israeli conflict is the central cause of violence in the world, and when prominent intellectuals argue that Israel is an apartheid state, the unfortunate reality is that the lies are winning. As a result, Israel has become the devil incarnate in the eyes of many otherwise good and reasonable people – people who genuinely want to see peace but inadvertently contribute to the continuation of the Israeli-Arab conflict. The tragedy is that they are neither helping the Palestinians nor promoting agreement or reconciliation. Instead, they lend legitimacy to the fallacious claims of the most extreme activists, empowering not moderates but the worst of the radicals who have no interest in attaining peace. Israel is not free from flaws. 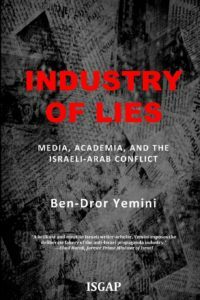 However, this book draws a clear distinction between legitimate criticism and the industry of lies that has emerged from two unlikely sources – the media and academia – undermining their reputation as bastions of truth and knowledge. 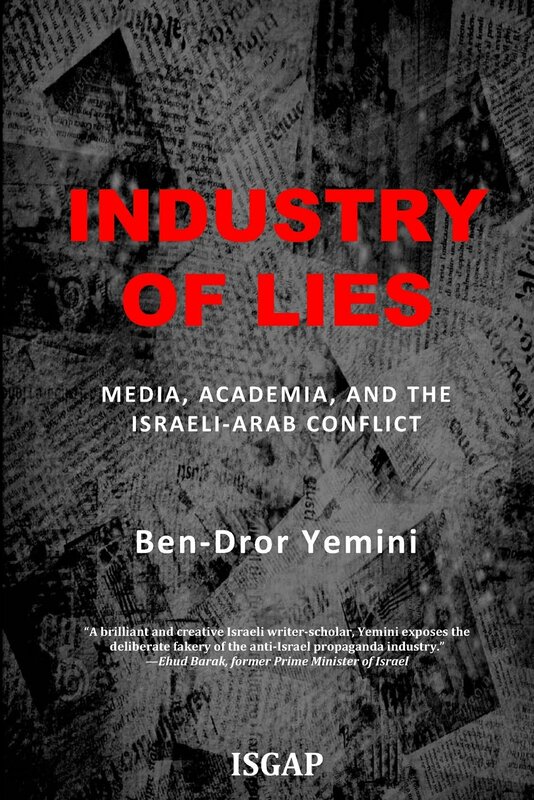 Ben-Dror Yemini presents an in-depth analysis of the many inaccurate and malicious accusations leveled against Israel and refutes them one by one in this thought-provoking and well-researched volume that invites us to rethink the causes and consequences of the Israeli-Arab conflict. An earthquake of shifting alliances and contradictory interests and an unprecedented wave of violence show that the old lenses through which we once viewed and analyzed the Middle East have rapidly become blurred and inadequate to follow the course of events. 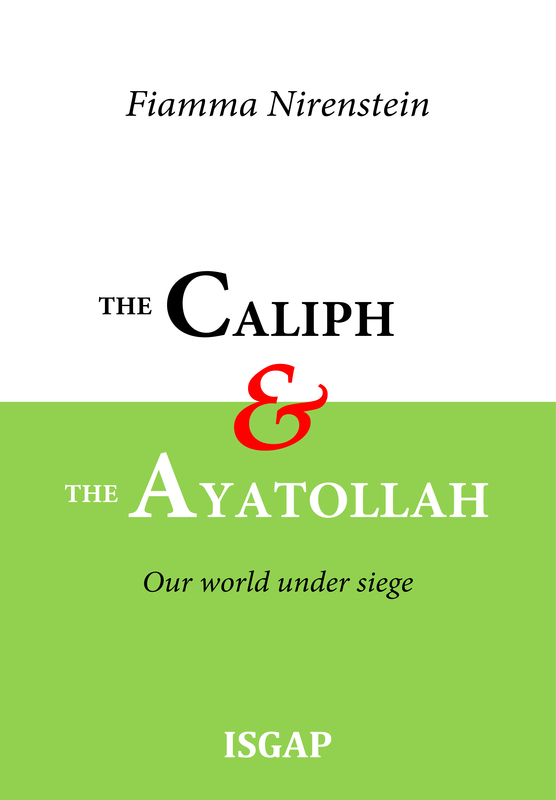 What generates various Sunni and Shiite ideologies? Is the West aware of the dangers it faces between fanaticism of Salafi terrorism and the unstoppable expansionism of the ayatollah? And, above all, will it be able to defend itself? While exploring the genesis of this gloomy scenario, this book underlines that there may be a glimpse of light. This is because Arab countries are now discovering that they have a shared interest-both with each other and the West-to uproot extremist Shiite and Sunni terror. Paradoxically, the history of the Middle East and the relations between the Western world and Islam have never proved so open to a turning point as they do today. The Antisemitism in Comparative Perspective seminar series of the Institute for the Study of Global Antisemitism and Policy (ISGAP) continues to generate a steady flow of high-quality presentations and papers on a wide range of topics relating to antisemitism. Between 2015 and 2017, ISGAP hosted seminars at numerous academic institutions, including Harvard University, McGill University, Stanford University, Columbia University Law School, the University of Miami, Sapienza University (Rome), Sorbonne University (Paris), the National University of Kyiv, and the American College of Greece (Athens). The present volume―a worthy follow-up to The ISGAP Papers: Antisemitism in Comparative Perspective, Volume Two (2016)―contains a selection of papers presented during this period. Like the seminars on which they are based, these papers cover topics that have profound implications for our understanding of contemporary antisemitism, its impact on Jews and non-Jews, and our efforts to combat this irrational yet enduring prejudice. 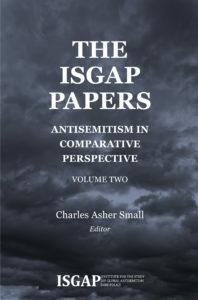 It is the hope of all those connected with ISGAP that the papers in this volume will stimulate and inspire readers, help them understand the changing realities of contemporary antisemitism, and encourage them to develop policies and strategies to combat and defeat this and other destructive hatreds. 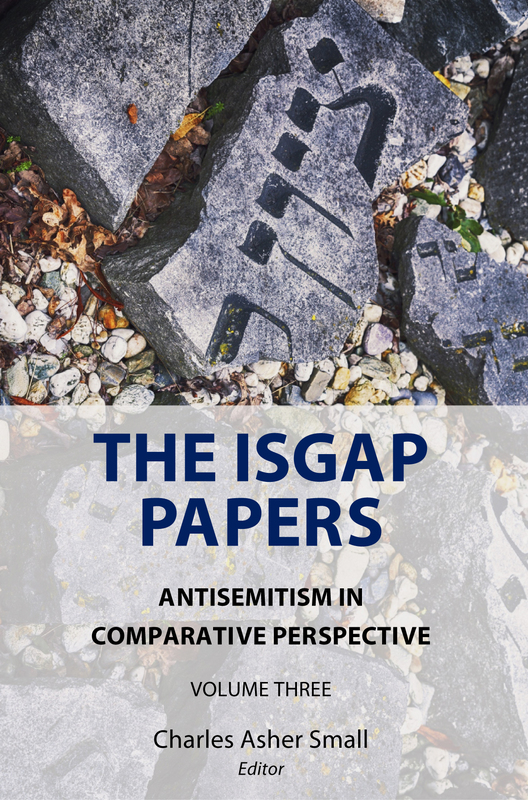 With the publication of this latest volume, as well as all its other academic efforts, ISGAP continues to fight antisemitism on the battlefield of ideas.